For the most reliable and comprehensive furnace repair services in Tyler and Longview, TX, contact the experts at A/C Contractors. Our certified technicians are experts at troubleshooting furnace problems, and we’ll work quickly to diagnose the issues with your unit and create an effective repair solution. We guarantee that we’ll properly fix your furnace right the first time, too — if our services fail to meet your expectations or properly heat your home, we’ll return and perform repairs for free. Cracked Heat Exchanger: Over time with regular use, the heat exchanger material can wear and eventually become damaged — with routine furnace maintenance, you can extend the lifespan of this part. Dirty, Clogged Air Filter: Air filters need to be changed at least once monthly to remove built-up dirt and debris that can clog the system and cause your unit to work harder. This reduces efficiency and places additional wear on parts and hardware. Damaged Blower Belt: If you notice a strange, high-pitched squealing sound coming from your furnace, then your blower belt is likely frayed or stripped. Pilot Light Problems: Gas furnaces rely on the pilot light to ignite the natural gas source to then ignite the larger burner that helps heat your home — if your pilot light refuses to ignite or if the flame flickers, then you likely have a faulty part or excess carbon monoxide present. Malfunctioning Thermostat: If your thermostat isn’t properly regulating the temperature in your home, then you could have an issue with your furnace’s fan or the thermostat itself. Frequent System Cycling: If your furnace clicks on and off frequently, then it may indicate you have a clogged filter, improper airflow or faulty thermostat settings — calling a professional to inspect your system will help identify the source of your furnace’s cycling. Broken Limit Switch: Is your furnace blower constantly blowing without ever shutting off? If so, then you may need a replacement switch. Whether your heating system has stopped operating in the middle of the night or during the weekend, Longview and Tyler homeowners can rely on A/C Contractors to make quality repairs — we provide responsive and efficient 24-hour emergency repair services. Once we receive your call, we’ll arrive at your home promptly with fully equipped technicians ready to inspect your gas furnace or heat pump and troubleshoot the system to find the cause of the breakdown. We use the best tools and equipment available to ensure long-term dependability of our repairs as well. 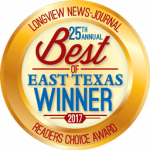 At A/C Contractors, we pride ourselves on providing the most helpful, knowledgable and responsive furnace and heating system repair services for residents throughout the Tyler and Longview, TX communities. 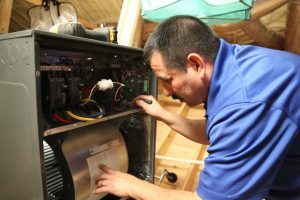 In addition to our heating unit repair services, we also offer quality installations from top-rated brands and comprehensive maintenance services to improve the energy efficiency of your system and prolong the lifespan of the unit. To request a free furnace repair quote, call us today at 866-427-7689 or fill out our online contact form.